This is an Australian extreme rare P.D.S. Egg Pool Grader on a nice wooden base. The scale is graduated in oz. and goes up from 15 to 30 oz. per doz. or 1.25 oz up to 2.50 per egg. Beautiful condition. 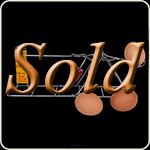 The Dominion egg scale was made in Canada. It looks similar to the Acme egg scale but the Dominion is a better quality. The Dominoin egg scale is made from cast aluminium and sheet aluminium. Mint condition. 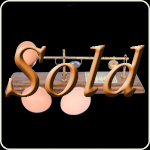 This is an extreme rare by the American Frost Fence Company made Frost Egg scale. It is made from gauge round metal. It is graduated in oz. and goes up from 18 to 24 oz. per dozen. Perfect shape only minor signs of use. 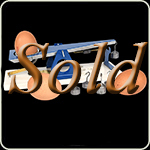 Again an extreme rare American made White Line Egg grader. This one is made with a pivoted aluminium egg cradle. This type has 5 hook weights from 18, 20, 22, 24 and 26 oz. Perfect cleaned shape with only minor signs of use. 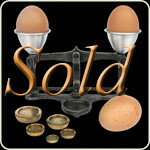 This is an extreme rare English made egg scale. 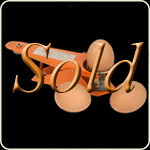 It is a Roberval egg scale and has 2 two cups. The scale is made of iron with aluminum cups. Still has the original weights. This is an extreme rare Australian made Wedderburn Egg scale. 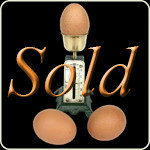 The only one I ever have seen before was a photo from this egg scale. The scale graduates in OZ and goes up from 0 to 3.0 oz. The scale is in a super perfect shape and has only a few signs of use. 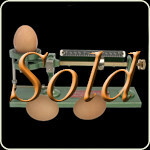 This is a Salter No 18E Egg balance. It is made in England and the scale weighs eggs up to 4 OZ by 1/8 OZ. It looks like it is not often used so it is not cleaned. A wonderful German Ph. J. Maul Egg scales. 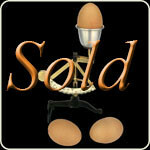 As you look to the base, you see that this Egg scale is made during the Art Deco period. The scale is graduated in grams. The lower part goes from 0 to 30 gram. The upper part goes from 20 to 100 gram. Original condition. This is a rare by Ph. J. Maul made Concav egg scale. Despite the scale has no calibration screw, the special feature of this scale sets itselfs always to zero. Original cleaned condition. 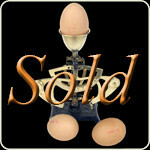 This is a rare egg scale made by the Carlstedt Mfg. Co. of Edmonds, Washington. 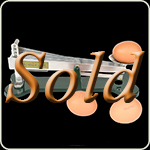 The scale with just one counterweight, can only measure eggs weighing more or less than 22 oz. per dozen. Very good condition.